Seattle Seahawks quarterback Russell Wilson’s resemblance to his father the late Harrison B. Wilson III is uncanny–but both men look like Russell’s grandfather Dr. Harrison B. Wilson, Jr.
For more than 25 years, the HBCU community has held on to the glory of Grambling State University alumnus Doug Williams, the first African-American quarterback to play in a Super Bowl game, who was named MVP in Super Bowl XXII for leading the Washington Redskins to a 42-10 defeat of the Denver Broncos. Oh, we’re still holding on to it too. As the second-ever African-American quarterback to lead his team to Super Bowl victory, Russell Wilson joins Williams as a champion in this league of extraordinary not-so-gentle men. 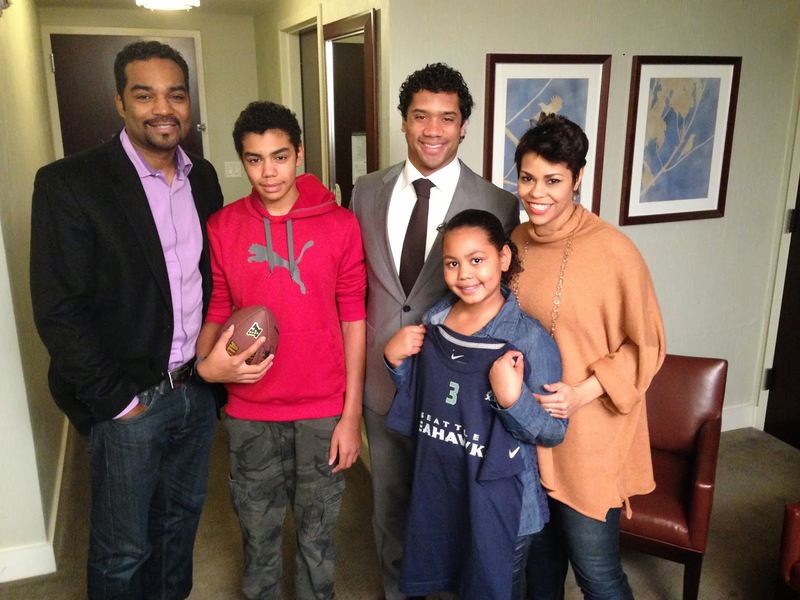 And now, we can even share in the joy of Russell Wilson’s HBCU roots, which run deep. How deep? Now 88 years old, Wilson’s grandfather is just the beginning. Here are six HBCU connections to Russell Wilson, you probably didn’t know. Dr. Harrison B. Wilson, Jr.
6. His grandfather graduated from Kentucky State University. He enrolled at the age nineteen, and received his B.S. degree as an honor student while he was star athlete in basketball, football, baseball and track. 5. His grandfather was president of Norfolk State University from 1975 to 1997. President Harrison B. Wilson’s tenure, which spanned over three decades from 1975 until 1997 was formidable. During his headship, Norfolk State’s annual budget increased from $14 million to $86 million; student enrollment increased from 6,700 to 8,100, and the number of faculty and staff grew from 377 to 412, with a student-faculty ratio of twenty-two-one. The University also added fourteen new buildings and acquired fifty-one acres of land during Wilson’s tenure. 4. His grandmother graduated from South Carolina State University. 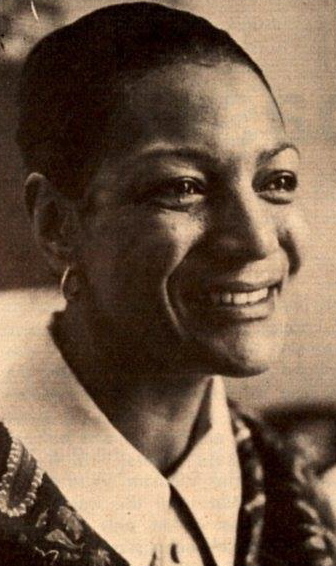 Dr. Lucy R. Wilson is a 1951 graduate of South Carolina State and prior to becoming the first lady of Norfolk State, she also worked on the faculty of Albany State University, Claflin University, and Tennessee State University during her long and outstanding career as an academic administrator. 3. His grandfather was one of the most successful coaches in Jackson State University history. Considered by many the architect of modern men’s basketball at JSU, Dr. Harrison Wilson, Jr.’s 371-93 career record wins rank the highest for JSU basketball. In 17 seasons at the helm of the Tigers’ program, he never had a losing season and recorded 13 20-plus win seasons. His teams also posted 29 wins in a season twice (1955-56 and 1963-64). 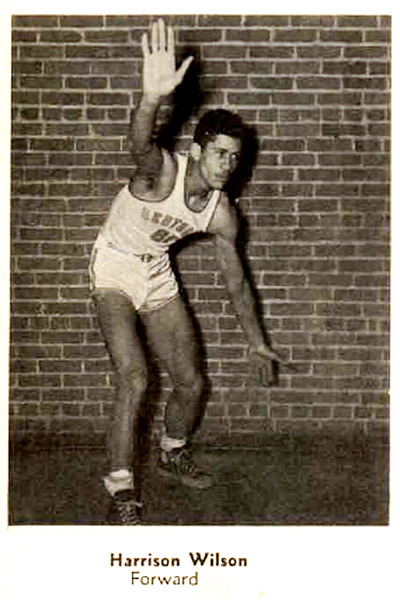 His 1963-64 team won the Southwestern Athletic Conference championship. He coached some of the most talented players in the country, including Cleveland Buckner (drafted by the New York Knicks in 1961), Ed Manning (former NBA player and the father Kansas Jayhawk great Danny Manning) and Paul Covington (a disciple of Wilson’s and took over as head men’s basketball coach at Jackson State). 1. His grandfather was the first cousin of legendary TSU Football Coach John A. Merritt. Dr. Harrison B. Wilson, Jr.’s mother Marguerite Ayers was the sister of Grace (Ayers) Merritt, mother of JSU and TSU football coach John A. Merritt. During his coaching career at TSU, Merrit had four undefeated seasons, claimed four Midwestern Conference titles, seven Black College Football Championships: (1965, 1966, 1970, 1971, 1973, 1979 and 1982) and earned the school’s first-ever NCAA Division I-AA playoff victory in 1982. Completing four undefeated seasons and winning six national championships and four black college football titles, Merritt also coached National Football League (NFL) standouts Edward “Too-Tall” Jones, Waymond Byrant, and Joe Gilliam were among many others. Sources: The History Makers; 2013 JSU Hall of Fame Inductee: Harrison B. Wilson. 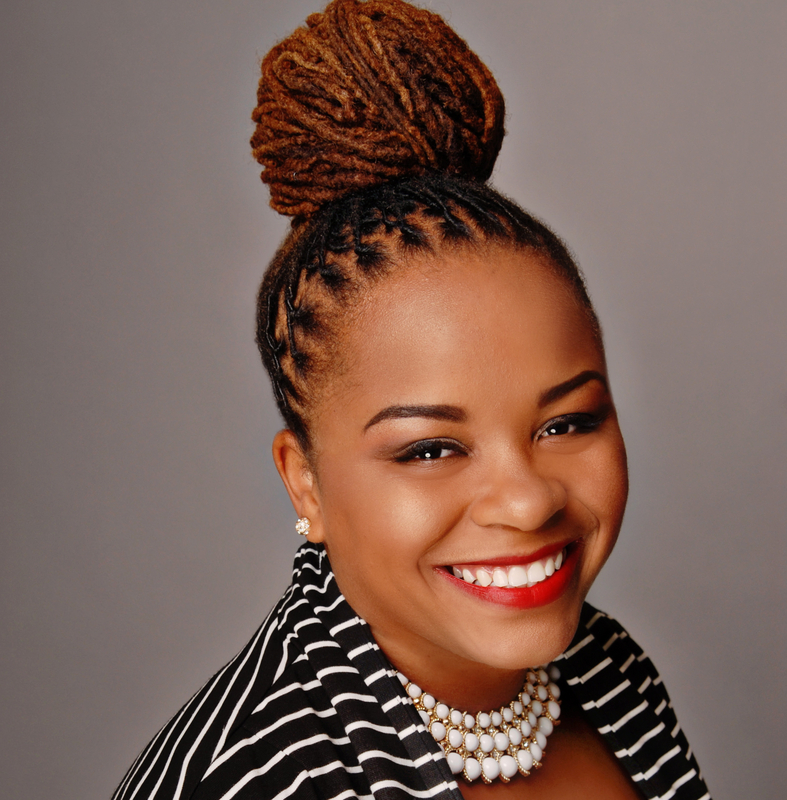 A 2003 graduate of Fisk University, Crystal A. deGregory, Ph.D. is the founder and executive editor of HBCUSTORY, Inc. an advocacy center presenting inspiring stories of the HBCUs past and present, for our future. She teaches in Tennessee State University’s department of history, political science, geography and Africana studies. Follow her on twitter at @HBCUstorian. Tags: Albany State University, April Woodard, College President, Doug Williams, Grambling State, Hampton University, Harrison B. Wilson Jr, HBCU, HBCU Alumni, HBCU President, HBCU Story, HBCUstory, Kentucky State University, Lucy R. Wilson, NFL, Russell Wilson, South Carolina State University, Super Bowl, Tennessee State University. Bookmark the permalink. Very interesting! I would never have known all this. six degrees of separation. I hoped he would be MVP, but was not surprised when he was overlooked. Even though he won the battle of the Quarterbacks. I any other setting he would have been named MVP. Yup. He’s been overlooked all year, but they gave Denver a pretty sound beating. Thanks for this great info. It’s great to see how important HBCU’s have been in edifying African-Americans in the U.S. Many thanks! We’re making HBCU memories matter! Here’s a #7. His Aunt is a professor at Hampton University. I love this! Thanks so much. Will add her to the list! Hope you subscribed to the blog and stay connected to us on social media @HBCUstory! This is great info to know. I was student at Norfolk State University when Russell’s grandfather was the president. Feel like I/we have a connection to this young man because of path knowing his grandfather. Great accomplishments and great job in Super Bowl yesterday. Well deserved. Thanks…There’s always an HBCU connection! Hope you subscribed to the blog and stay connected to us on social media @HBCUstory! Great piece. Harrison Wilson II’s maternal uncles, Willis T. Ayers and Lesley J. Ayers, attended the now defunct HBCU Walden University in Nashville in the late 1800s. 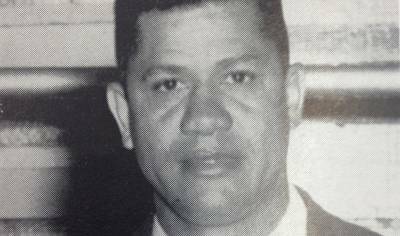 Willis T. Ayers also attended and graduated from Meharry Medical College. See? Now my readers are just showing out! This is great! I am familiar with Walden, also known as Central Tennessee. If you have photos please email them to cadegregory@hbcustory.com! I am from Clarksdale, Ms. I attended, and graduated from Tenn. State Univ. in 1975. TSU Assit. Basketball Coach William ‘Pop’ Gaines played for Coach Wilson on Jackson State Univ. Basketball Team in the 50’s. 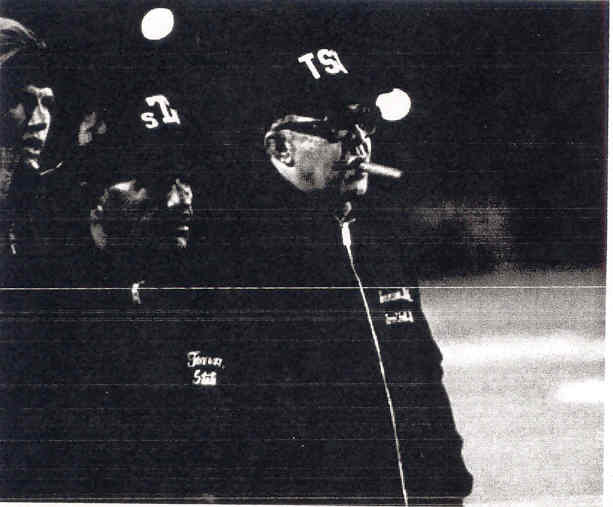 Between 1971, and 1974 both Coach Gaines, (Basketball) and Coach Merritt (Football) were employed at Tenn. State Univ.! Thanks so much Mr. Wells! We’re trying to put together a post on Coach Merritt’s famous (funny) sayings. If anything comes to mind, please email me at cadegregory@hbcustory.com. Pingback: Wilson’s links to HBCUs, Black history fuel his confidence | BlackDoor Ventures, Inc.
You may also add that Dr. Harrison Wilson was a senior administrator at Fisk University prior to assuming the Presidency at Norfolk State University. I have been told that Russell’s father and grandfather are members of Kappa Alpha Psi Fraternity, Inc.! Uncle as well (Hampton Newport News). Many cousins in Atlanta are also Kappas. Thanks for the post GW (peabo in Silver Spring). Don’t forget that both Willie Richardson (Baltimore Colts) and Lem Barney (Detroit Lions) were Jackson State football alumni, as well. AS WAS WALTER “SWEETNESS” PAYTON of the worlld champion Chicago Bears, one of the greatest running backs of ALL TIMES!!! What a positive story about family, our culture, adversity an HBCU education. Wish them all the best. One of our great Football Champions of the time. Great article – Also Kam Chancellor has a younger brother playing football at Norfolk State University. His uncle Benjamin Wilson was my Environmental Justice professor at Howard Law too, so seven! Great job Dr. Wilson was President while I attended NSU he is a great man. Russell’s biological grandmother, Anna Gertrude Williams Wilson was my 8th grade teacher at the Jackson State University Laboratory School. I remember when his father, Harry B., was born. I also remember the day his grandparents arrived on campus. His grandmother was carrying his uncle, Benjamin Francis, in her arms. His grandfather, Dr. Harrison B. Wilson, (Coach Wilson), was basketball coach at JSU. I have yet to see college basketball as exciting as it was when he was coach. His biological grandmother, Anna Wilson, later became a professor at Jackson State. That is another HBCU connection. I am so proud of Russell. Russell’s uncle, Richard Wilson attended Hampton Institute after attending Dartmouth where he pledged Kappa Alpha Psi.